One step per page: Clarify will add a page break after each step. Fit as much content as possible per page: Clarify will put as much content on the page as it can. If you want to further control over page breaks then it can be done using CSS. You can refer to our article on Recipes for customizing PDF templates using the Custom CSS tab. 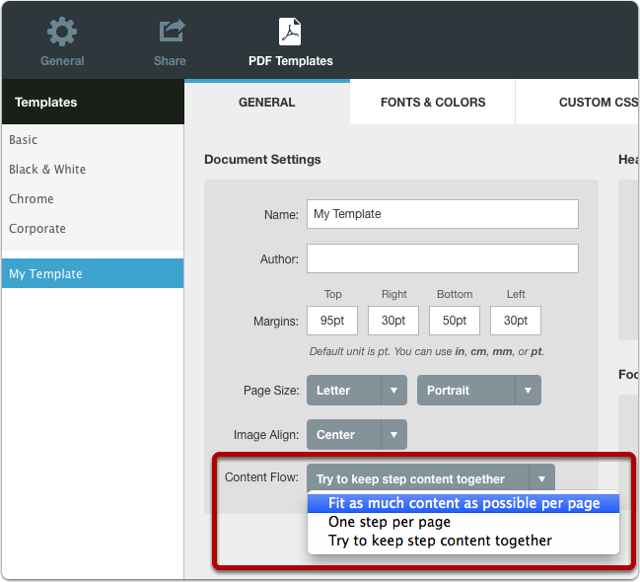 You can change the page break settings for a custom template in the General tab using the Content Flow menu. 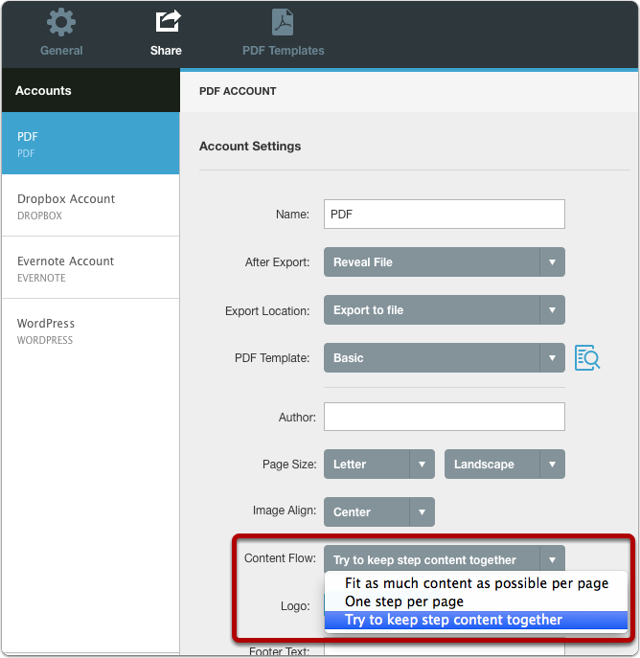 For PDF sharing accounts that use a built-in Clarify template you can change the setting in the Content Flow menu.